More often than not, it’s the little things in a design that can have the biggest impact. The finer details, the incomparable craftsmanship and the subtle considerations given to your personal requests, make Creative Building Services stand apart. Creative Building Services has a well-deserved reputation for providing innovative design solutions, regardless of the challenge. With a portfolio of more than 500 outstanding projects, uncompromising quality has become Creative’s trademark. Creative Building Services see trust as the most important characteristic of the company. The highest level of trust between the client and themselves has been established by always being up front and honest at all times, and giving the client what they want (usually more) at a fair price. Creative Building Services has gained the reputation as “the conscientious builder you can trust”, a reputation that they’re extremely proud of. The company’s distinctive achievements in the industry are testament that this approach has paid off. The process begins from the first moment you meet with Creative Building Services. It will become very obvious from the beginning that they will respect your individuality, so regardless of unique personal desires, they’ll create a solution specifically for you – as every project has a clear and precise formula. The Creative team will establish a scope of work with you and select the best-suited Architect to develop initial sketch plans (unless of course you have designers plans already). 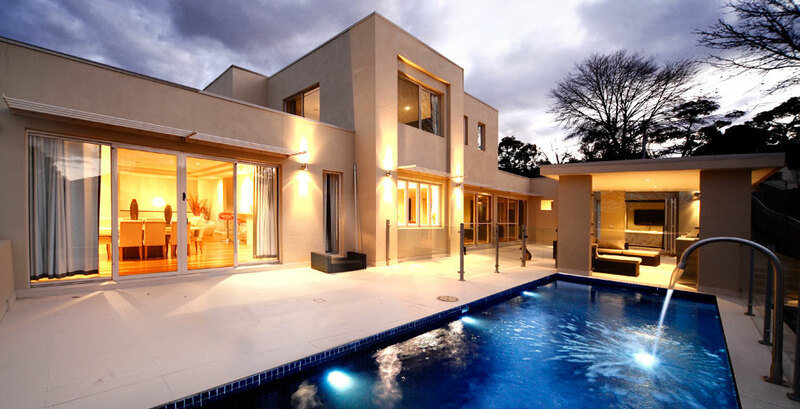 The Architect, in co-ordination with Creative Building Services, will start the process by preparing a thorough brief to ensure they have a full understanding of your budget, likes, wants, needs and ultimate objectives. During the design stage, from initial sketches until final completion of plans, the Creative team will be involved to ensure the design of your dreams is planned in the most cost effective manner and within the given budget. Upon the final plans being issued, Creative Building will prepare a detailed quotation for your approval. Once this quote is accepted and you decide to engage Creative Building Services, your project is initiated and you will then sign the appropriate contracts. Being entrusted with your dream design, the Creative team will begin to process all approvals on your behalf, whilst offering support in selecting the best inclusions to fit within the nominated budget and take control of your project. This process ensures every single detail is implemented while keeping you fully informed at all times. At this stage, Creative Building Services will also offer interior design and landscaping services for consideration, to help complete the picture. With years of experience behind them, Creative will be with you every step of the way, providing innovative options to ensure individuality embraces your project. Completion of your home does not result in completion of your relationship with Creative Building Services. Our maintenance period will ensure the even the most minor concerns you may have are quickly dealt with. This means nothing is left to chance when you build with Creative, and guarantee you will never receive unexpected surprises.